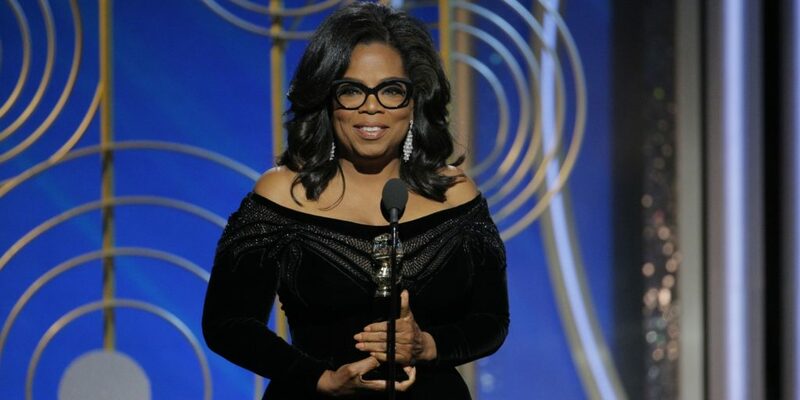 Oprah Winfrey delivered a good speech at the Golden Globes last night, leading to much speculation that she’s considering a run for President in 2020. The answer to one rich media celebrity with no political experience is not another rich media celebrity with no political experience. She’s a promoter of pseudoscience, woo, and she singlehandedly subjected the world to the likes of Dr. Phil, Jenny McCarthy’s anti-vax movement, and Dr. Oz. Her new-age schtick works fine on TV but has no place in government. Telling people to just believe in themselves and all their problems will be solved? There’s a ton of “let them eat cake” in that. For critics of Fake News and Alternative Facts, I have 4 words for you: “A Million Little Pieces.” Google it if you don’t remember. Yes, she would be better than Trump. But that’s a low bar to set. Literally ANYONE would be better than Trump. Heck, Kim Jong-effin’-un would be better than Trump. The Democratic Party has some soul-searching to do on how it can move forward with new, dynamic leaders of tomorrow who can connect with the electorate. It’s been too hung up on the mistakes of the past since 2016, and there are few promising candidates waiting in the wings. And don’t get me wrong, I think a lot of people LOVE the idea of a successful African-American woman beating Trump and shutting down all the racist, misogynist haters out there who would tell Democrats that it’s too risky to run any candidate who’s not a white male in 2020. But, sorry to rain on your parade, folks, but Oprah’s not the answer. She should stick to her entertainment empire. Politics is enough of a reality TV show as it is. Sascha Baron Cohen is finally giving interviews as himself after months of only appearing in character as Borat. Sacha Baron Cohen has killed off his controversial character Borat. The British-born comic star insists the offensive fictional Kazakhstani reporter is now too famous to fool anyone again, but has revealed he is already working on new ideas. Now that’s commitment. Or insanity. Or both. … you couldn’t care less about the Golden Globe Awards because you’re too engrossed watching the Habs beat the Stars 4-2, despite being outshot 37-15. Jose Theodore deserves all the credit here. Go Habs!